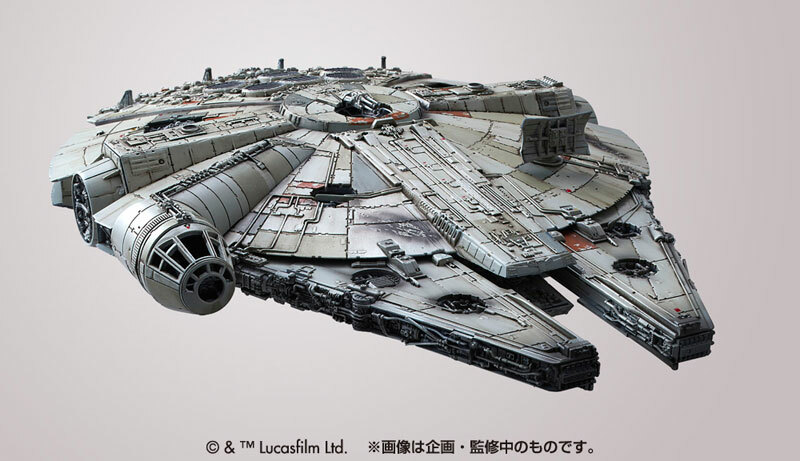 Bandai are releasing this 1:144 version of the Millennium Falcon from The Force Awakens. Features include, eight TFA figures (both seated and standing), flight mode with Jakku style base, landing gear, a moveable ramp, two engine parts for flight and ground effect and two cockpit canopies. 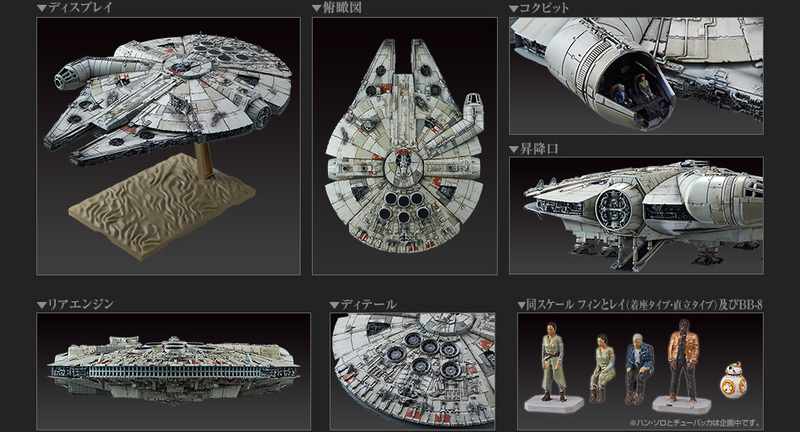 It looks like a fabulously details model and at 5, 000 Japanese yen (about $42 or £27) plus shipping, it’s a bit of a bargain. It’s due for release on the 29th October 2015. At the moment, im not sure where to order these from, so i will get back to you later. 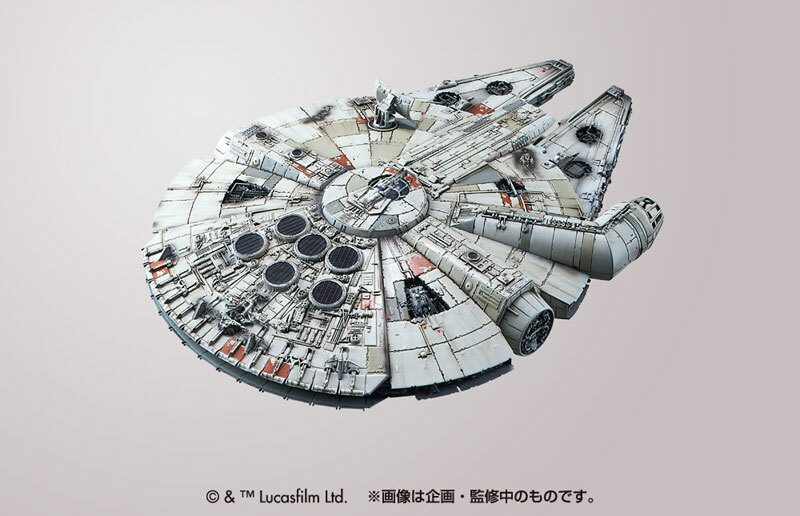 This entry was posted in Model Kits and tagged Bandai, Millenium Falcon, Millennium Falcon, Star Wars. Bookmark the permalink. It does look like a VERY good version of the Falcon. I’m really hoping that they release a version with the classic paint ap, dish and figures. well, you know the promo shots always look amazing but the product most time tend to look a bit different. Perhaps you remember the FToy Falcons. I hope it will remain this detail which probably could relieve my Fantasy Flight X-Wing Millennium Falcon as the best detailed miniature.